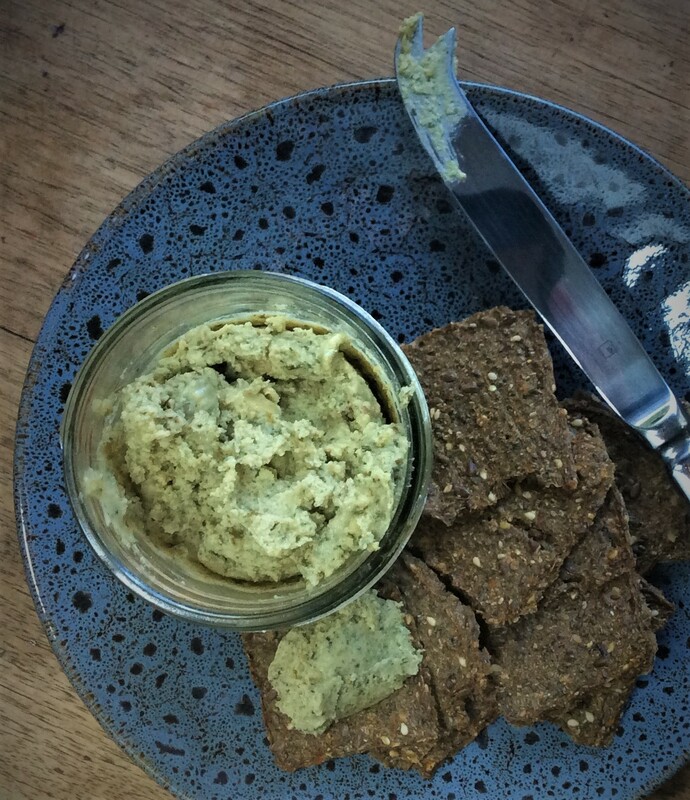 I am really happy with how this dairy free cashew cheese turned out and it’s so easy to make! I added hemp seeds to give it a nutritious twist. Spread it on some toast, dollop it over steamed veg or serve it with crackers. Yum! The thing I love about this recipe (beside the taste!) is that all the ingredients provide a nutritional benefit. The cashew nuts and hemp seeds supply protein, fibre and essential fats as well as magnesium, manganese, potassium and iron. The nutritional yeast supplies B vitamins, particularly B12, which can be hard for some people to get enough of (particularly vegetarians and vegans). And the herbs and garlic have antioxidant and anti-inflammatory properties. I used gelatin as my setting agent because that’s what I had in the cupboard, however agar agar would work equally well if you’re looking for a vegan option. Drain cashews and place in blender. Add hemp seeds, garlic granules, nutritional yeast, apple cider vinegar, thyme, rosemary, maple syrup and salt. Place a small saucepan over a low heat an add the water and gelatin granules. Stir well until the granules are dissolved, but dont let the liquid boil. Add the gelatin mixture to the blender. Blitz on high speed until the mixture reaches a smooth consistency. Poor the cheese mixture into a jar, refrigerate over night or until set and enjoy! If you’re keen to find out more about all the nutritional benefits of hemp seeds, you can read about it here. Magnesium Benefits: How much magnesium should you be getting?